SanDisk Ultra microSDXC 200GB 90MB/s, UHS-I/Class 10 - 200GB ? Its been a while, taken me a lot longer to refocus my efforts towards DCEmu, but this site is my spiritual internet home, anyway enough of the talk, DCEmu is going to be radically changed and condensed, the first site that im working on is Console News which is one of my oldest sites, Console News will now incorporate all the hosted sites news and other sites like console history, all those sites will be redirected to Console News. Black Friday Deals Week starts beings on Monday November 24th. Share with your users incredible deals from all categories including; Amazon Fashion, Home, Computer, Electronics, Video Games, Toys, Sports and more. For those who know me know ive been a fan of emulation for 20 years or more, the reason i started a videogames website was purely because i like to play emulators of old consoles on a single device. Recently the homebrew/emulation scene has been stagnant, no real breakthroughs means that the best way is to buy a device that is made for emulation fans like myself, i reviewed the JXD S7300 Android Tablet and for a fan like me i loved it. The Android tablet was for me perfect, the mixing of old style controls and touchscreen inside an Android OS and with Gamecenter X you could download games onto your console with no messing around, the console/tablet game with Android/N64/Megadrive/Arcade/GBA and Nes Emulators with games built in, beyond awesome. 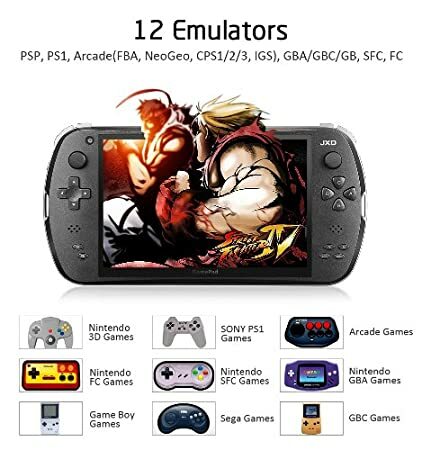 But JXD since then have brought out a new and improved JXD S7800b Gaming Tablet which features PS1, MAME, Dreamcast, N64, NeoGeo, Atari, NES, SNES, Gameboy, Gameboy Colour, Gameboy Advance, SEGA Master System, SEGA Mega Drive, CPS1, CPS2, Amiga, Commodore 64, ZX Spectrum Emulation to name just a few, am i salivating ?, hell yes. The JXD S7800b Gaming Tablet has a 7" 1280x800 IPS 5 Point Multi-Touch Capacitive Screen, RockChip RK3188 QuadCore 1.8GHz CPU - 2GB DDR3 RAM - 8GB Memory, Network Wi-Fi(802.11 b/g/n), External Ethernet，3G with Dongle and runs Android 4.2.2 Jellybean OS. So this Android Tablet runs one of the latest versions of the Android OS plus comes built in with all them emulators and you can do what you would expect from a normal Android Tablet. Amazon UK have today gone out on a limb and put up a preorder price of £199 for the WiiU, the newest of Nintendo`s consoles that is due to be released before this Christmas, the price of £199 is much lower than other prices from shops like Shopto who put a price of an RRP of £279.99 only a few days ago. 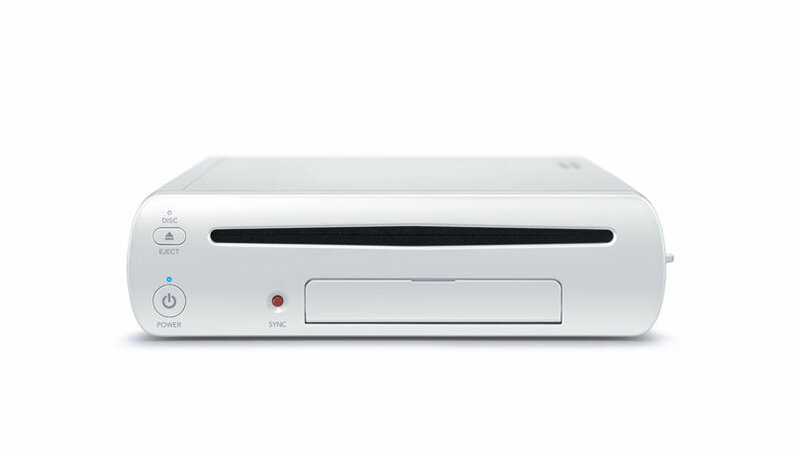 Discover a wealth of exciting new ways to enjoy home entertainment with Wii U, Nintendo's next home console. With a revolutionary new touch screen controller, precision motion controls, and full HD graphics, a whole new world of play styles and gaming possibilities is on the horizon. The time is coming to truly expand your idea about what a game console is - and can be. 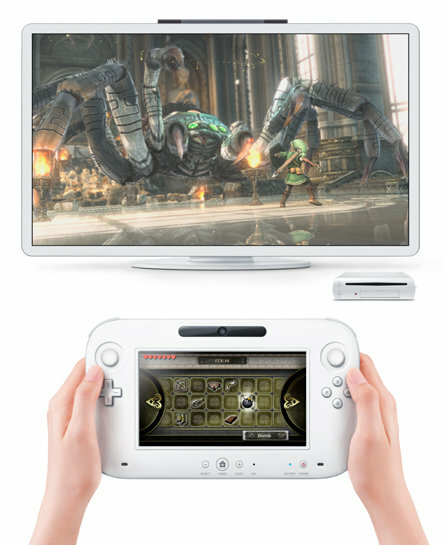 The system launches in 2012 and includes the new Wii U console and amazing new controller. According to Nintendo President Satoru Iwata, "Wii U redefines the structure of home entertainment by fundamentally changing how the TV, the game console and the Internet function and interact together", he continues, "The experience enabled by Wii U and its new controller takes players deeper into their games, while reaching out wider than ever before to be inviting to all kinds of gamers". A new Wii console experience that fundamentally changes how the TV, game console and the Internet function and interact together. A unique new controller packed with advanced features. An exciting roster of new games and software available at launch, as well as backwards compatibility to all Wii games. In addition to its 6.2-inch screen, the new controller also features an accelerometer and a gyroscope, a rumble feature, an inward-facing camera, a microphone and speakers. Adding these features to the Classic Controller button scheme -- two analogue Circle Pads, +Control Pad, A/B/X/Y buttons, L/R buttons and ZL/ZR buttons -- will enable a breadth of gameplay experiences while appealing to both casual and dedicated video game players. The Wii U system can also use up to four additional Wii Remote or Wii Remote Plus controllers and is backward compatible to all Wii games and all Wii accessories. The Wii console has sold more than 86 million units globally and greatly expanded the overall audience for video games. 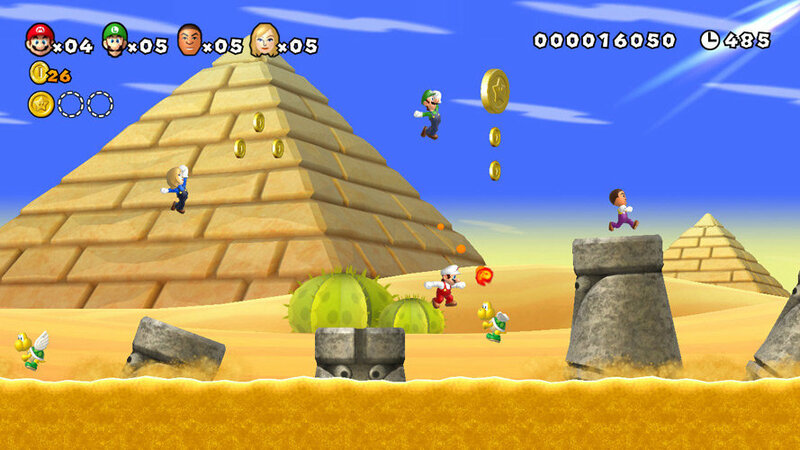 Wii U aims to expand that audience even further. Console Size - Approximately 1.8-inches tall, 6.8-inches wide and 10.5-inches long. New Controller - The new controller incorporates a 6.2-inch, 16:9 touch screen and traditional button controls, including two analogue circle pads. This combination removes the traditional barriers between games, players and the TV by creating a second window into the video game world. The rechargeable controller includes a power button, home button, +control pad, A/B/X/Y buttons, L/R buttons and ZL/ZR buttons. It includes a built-in accelerometer and gyroscope, rumble feature, camera, a microphone, stereo speakers, a sensor strip and a stylus. Other Controls - Up to four Wii Remote (or Wii Remote Plus) controllers can be connected at once. The new console supports all Wii controllers and input devices, including the Nunchuk controller, Classic Controller and Wii Balance Board. Lightake 10% OFF Mother's Day Special! Our good friends over at Lightake has 10% OFF coupon code for Mother's Day! So go and purchase something for your Mom, wife or girlfriend. While you're at it, pick something up for your siblings, father (Father's Day is coming up next month ) or even for yourself...you deserve it! Welcome to the DCEmu Homebrew and Gaming Network. DCEmu is now at the stage where we can call the network full again and with the addition of many new sites that cater not only for emulation and homebrew/hacking news but also for gaming and the likes of ebay and amazon too. All that leaves is around 3 sites then the whole network is back to normal and our history over the last 8 years is brought back to life. If you havent visited for a while then please check out the sites, the main DCEmu Portal only has a selection of news artcles now and most new news is found at the respective sites. DCEmu is as it has been since i joined all the sites under the DCEmu banner a network which concentrates on Homebrew, Hacking, Development and Commercial Gaming and Hardware News. All Homebrew/Emulation Coders once we verify them (and i spot them) have the ability to post in all our Console News Forums and the news automatically shows on the site to which that news forum belongs. We always like to have an onsite mirror but gladly welcome the linking to your own site. DCEmu can be used by coders to become their release centre and with the Homebrew Scene across so many scenes being so massive now you can quickly get noticed by a lot of sites including mainstream networks. Now with the News forums, normal members cant start topics in them but you can reply to any topic, Normal Members can post as Normal in any None News forum. I get so many emails asking why he/she cant post in whatever forum. This site like any site is a massive undertaking and we need help on every console scene. No site in any scene is 100% perfect on what they cover and totally up to date. In homebrew methods change all the time and only you the users can help others join in the fun. If your a specialist in any console area and you want to see all the news appear its a great way of making sure it happens. We are always in the need of Tutorials and Guides and FAQs not only for Homebrew but for hacking and Development and even just for gaming on consoles. Our DCEmu Reviews Website is also in the need of reviews of both Hardware, Homebrew and Games Reviews so please review as much as possible. Newsposters are always in need especially for WIP and Release News of Emulators, Homebrew etc and across many languages, i am English and to be honest the the translation apps on the net are crap, but the more help we get the better we can become, ive also no doubts that there are releases in places like Japan, China and Korea etc that never reach the likes of DCEmu and others because of language barriers. Welcome all to what will be a series of articles covering all consoles, basically we will give you the best 5 buys this Christmas for your console of choice, the gifts will be anything from consoles to games and onto accessories. Original story: Amazon's Black Friday sale is open to UK shoppers this week.The Black Friday Lightning deals exist for around two hours and in limited quantities. There's a carousel on the Amazon website that previews upcoming sale products, although the price isn't revealed until the sale begins.Driver Renegade on 3DS is currently on sale for £14.97. There are two more unnamed deals to come. The clue for the next one, which goes live shortly before 5pm, is, "So good they named him twice. "The clue for the third of today's video game deals, which goes live at around 6.30pm, is, "Every choice has a consequence; determine your destiny. "What are they? Is the latter X-men Destiny, as suggested by you clever people below?Last year, Amazon slashed the price of Wii and Xbox 360 consoles to £50.Black Friday, which follows Thanksgiving Thursday, marks the opening of the festive shopping season in the US. Shops take the opportunity to offer huge sales, prompting shopper mayhem. It's a bit like the Boxing Day sale in the UK, only on a much larger scale.Unrelated to Black Friday is Amazon's tempting Xbox 360 deal, which gifts Halo: Combat Evolved - Anniversary and a year's membership to Xbox Live for free when buying one of four Xbox 360 consoles. Look, just because it's Halloween season doesn't mean everything has to be Halloween oriented, okay? We love costumes and candy as much as the next website, but if we see the word "spooktacular" one more time we're going to straight-up gouge our own brains out. 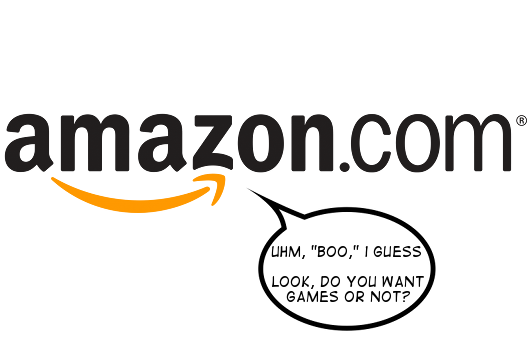 Amazon, at least, has the common courtesy to run a non-festive, yet entirely excellent buy 2, get 1 free sale in lieu of the expected, ghoulish sales promotions extended by other corporations. The sale applies to a boat-load of fresh hotness like Batman: Arkham City, Dark Souls and The ICO and Shadow of the Colossus Collection, so check it out if you'd rather spend $120 on new games rather than new cavities. All times are GMT +1. The time now is 12:05.